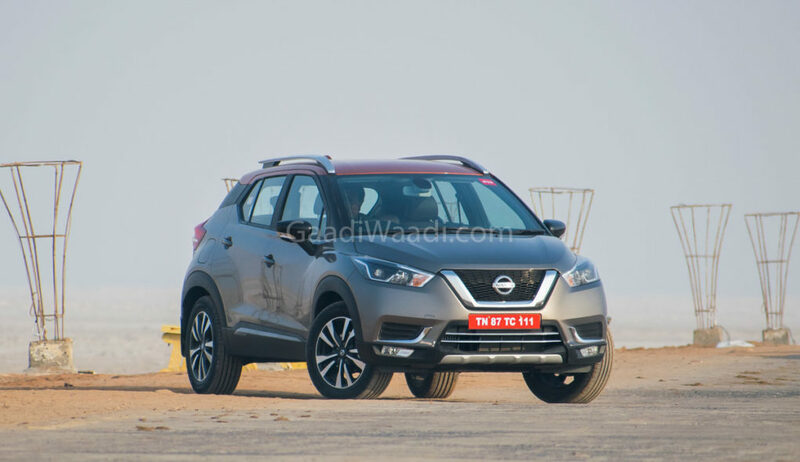 Nissan is going to launch the Kicks in India on January 22 and the company has already begun manufacturing of the compact SUV at its Chennai plant. Last week, we reported that the dealership dispatch of Kicks has commenced and the initial batch of the compact SUV has reached dealerships. The officially booking of Kicks commenced last month. The company is also running a special contest in which they will select 500 customers, who have booked Kicks this month and they will get a chance to watch the ICC Cricket World Cup in England. The India-spec Kicks is different to the international model as it is based on the low-cost Renault Duster platform. The upcoming model shares lots of components with Captur. The Kicks measures 4,384 mm length, 1813 mm width and 1656 mm height. The wheelbase of Kicks is 2,673 mm and the ground clearance is 210 mm. The compact SUV offers 400 litres of boot space, which can be expanded by folding down rear seats. The exterior design of the India-spec model is slightly different from the global version. 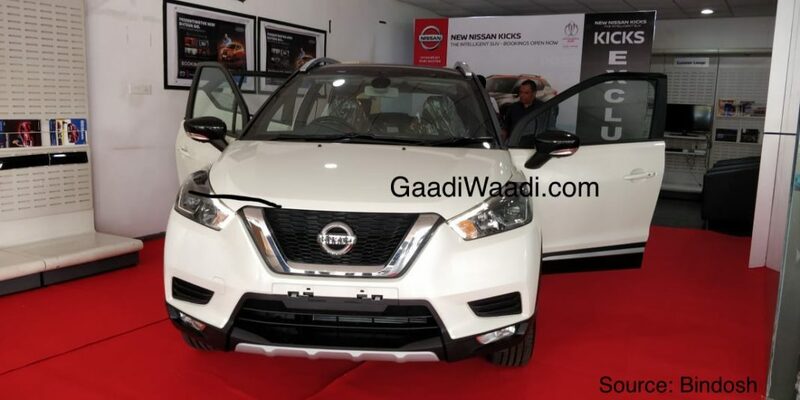 The company has given V-motion grille at front with big LED projector headlamps and LED fog lamps also. The side gets 17-inch 5-spoke machine cut alloy wheels and functional roof rail. The rear get boomerang LED tail lamps along with skid plates and body side mouldings. 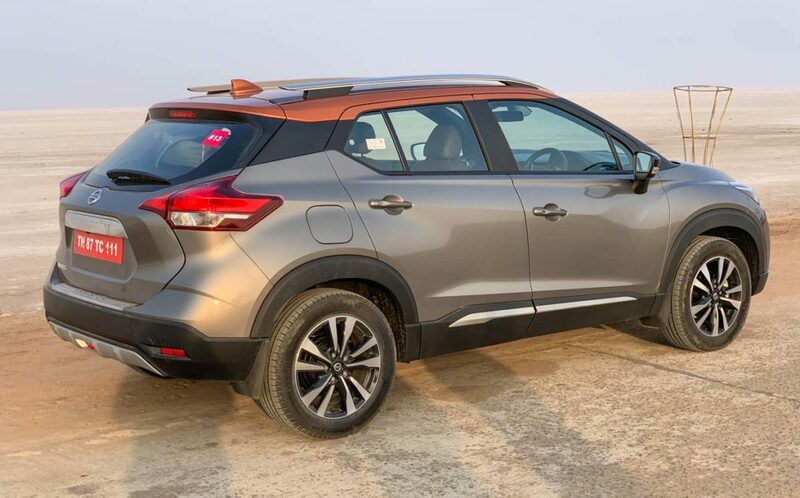 The Kicks is also available with dual-tone colour options and the compact SUV offers class-leading 5.2 m turning radius. The company has given a premium cabin for the Kicks as it comes with segment-first features like a 360-degree camera system, leather-wrapped dashboard and door trims, 8-inch touch screen infotainment system and more. Nissan also offers safety features like four airbags, ABS with EBD, Hill Start and Cruise Control. The Kicks is powered by a 1.5 L petrol engine producing 106 PS and 142 Nm, while the 1.5 L diesel engine puts out 110 PS and 240 Nm. The petrol engine gets 5-speed manual and 6-speed manual with the diesel engine. The Kicks is expected to be priced aggressively against the competition.